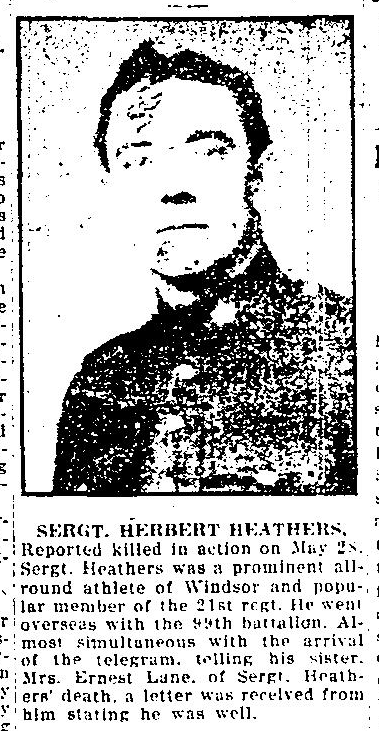 Source: Killed during German trench raid early morning of May 28, 1917. 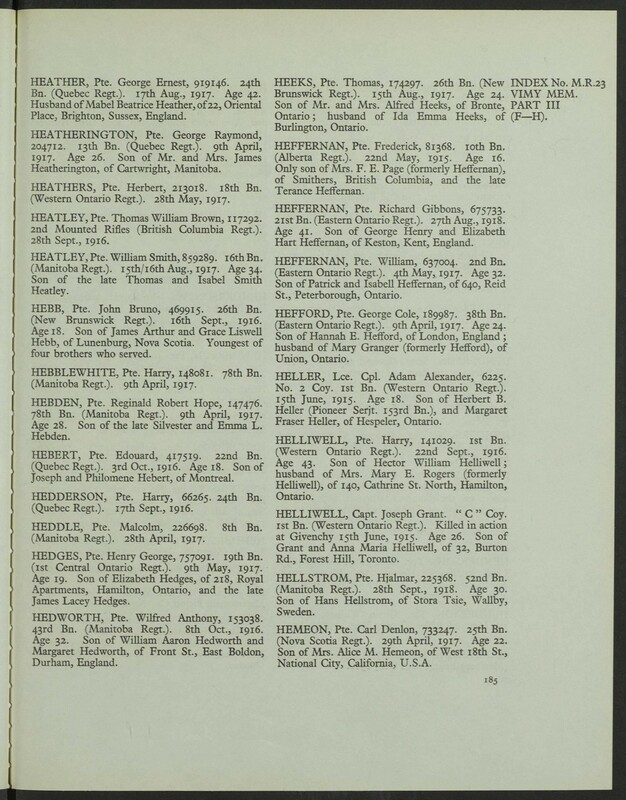 Reported killed in action on May 28, Sergt. 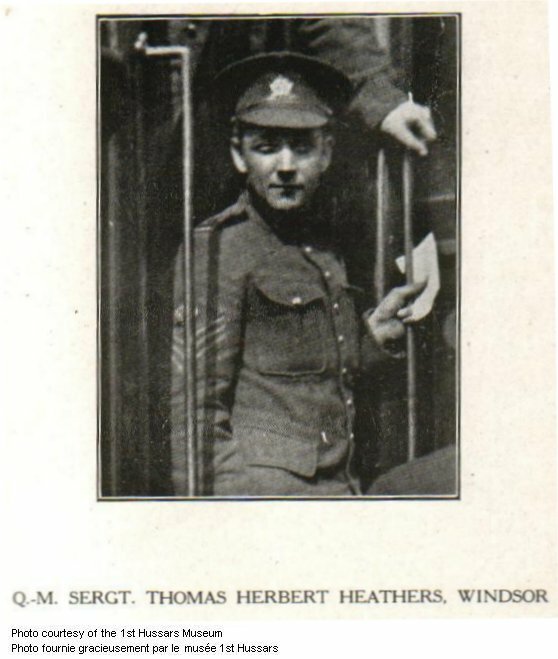 Heathers was a prominent all-round athlete of Windsor and popular member of the 21st regt. He went overseas with the 99th Battalion. 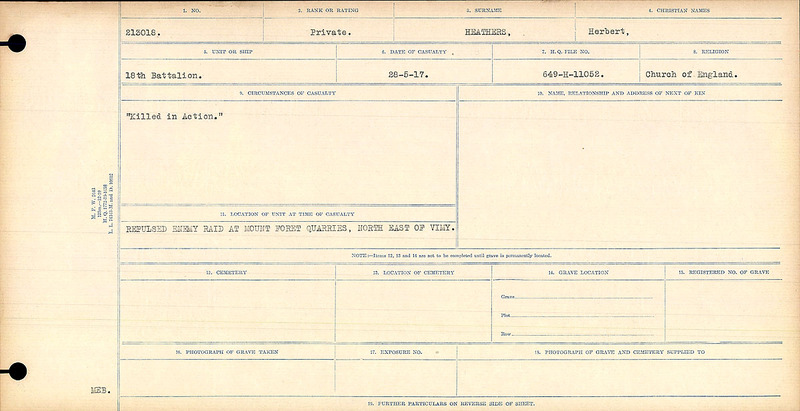 Almost simultaneous with the arrival of the telegram, tolling his sister, Mrs. Ernest Lane, of Sergt. Heathers’ death, a letter was received from him stating he was well. Source: Newspaper and date unknown.